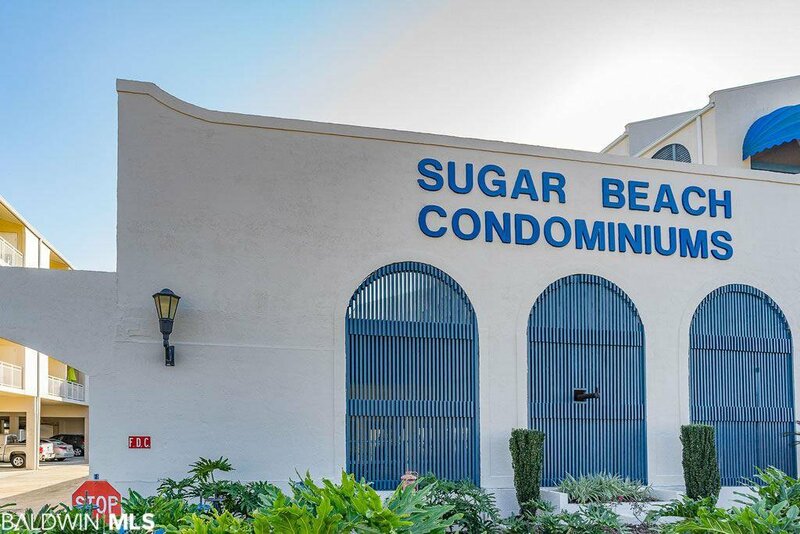 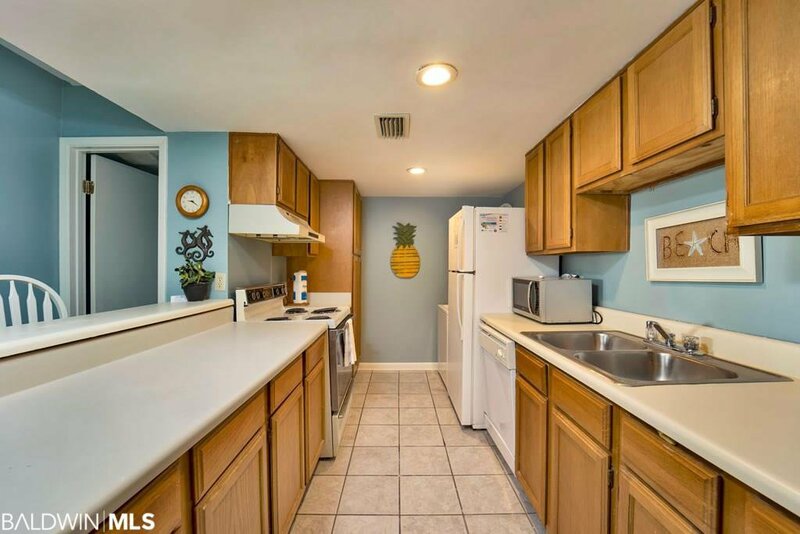 Spacious 3-bedroom condo in beachfront complex. 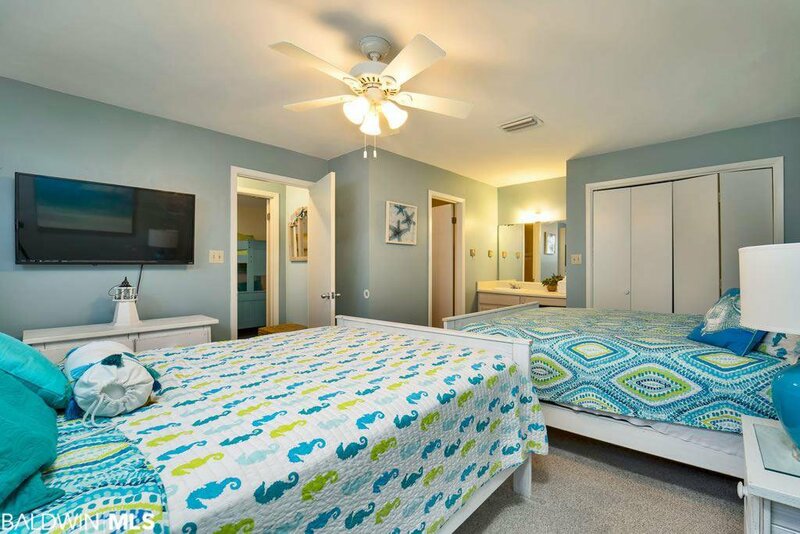 Both living room and master bedroom feature vaulted ceilings. 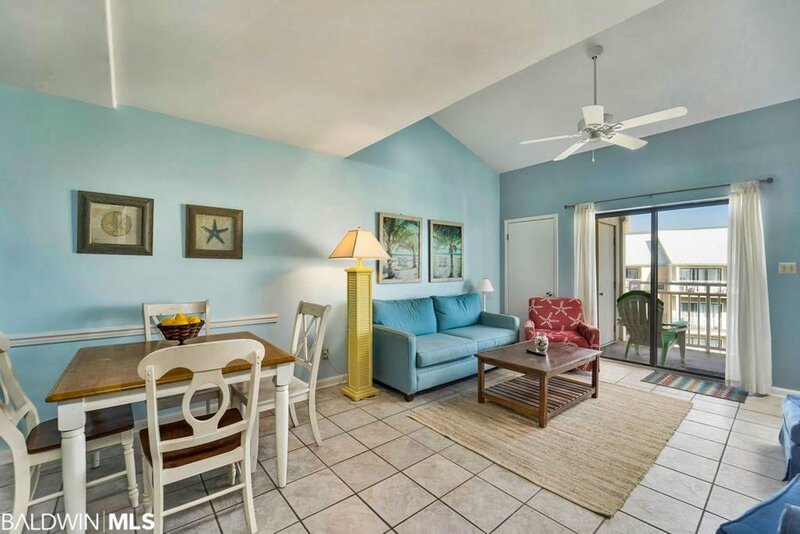 Top-floor unit in low density beachfront complex with 3 Pools, beach bar-and-grill, kiddie pool and tennis court. 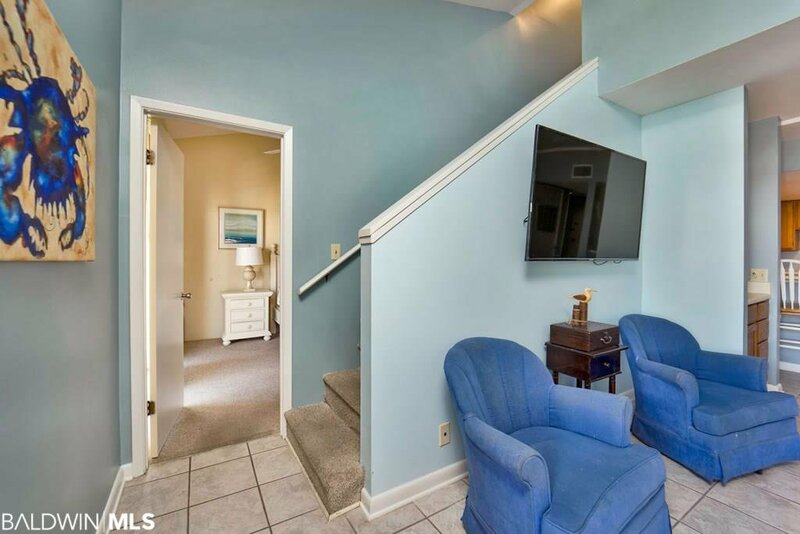 Wall-mounted TVs in all 4 rooms, 3 are smart TVs. 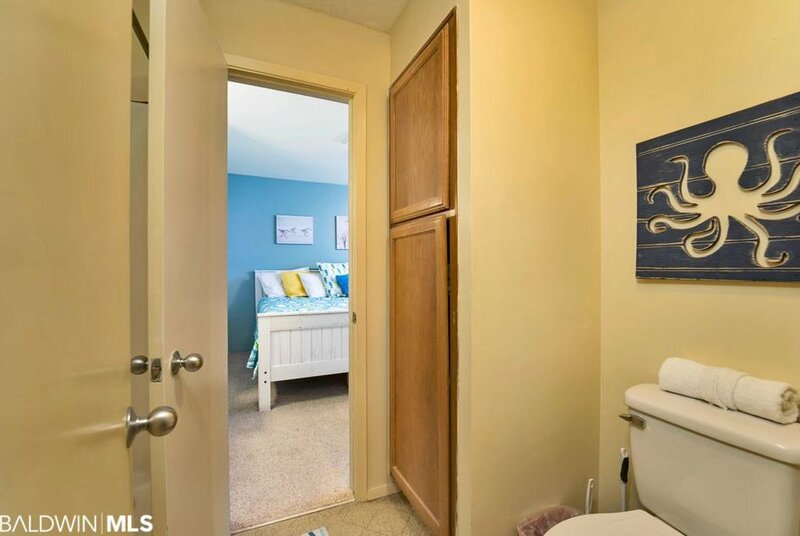 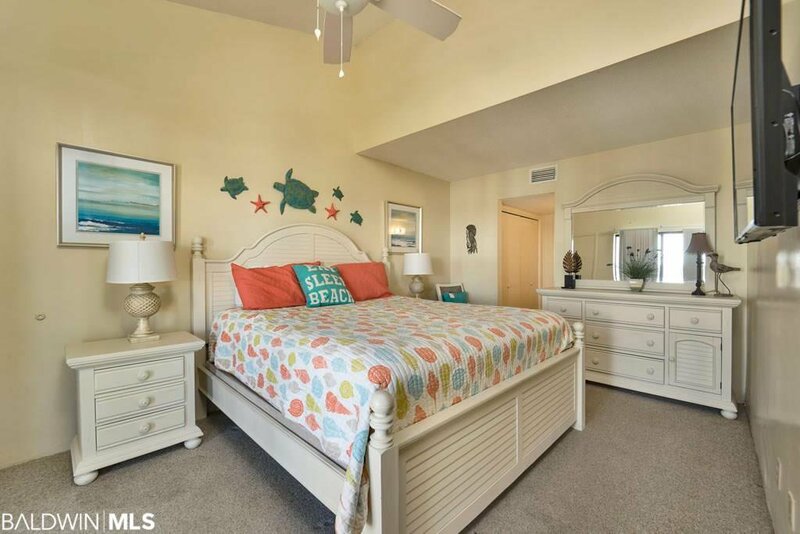 Spacious master bedroom has high ceilings, private bathroom with dual-vanity sinks and walk-in closet. 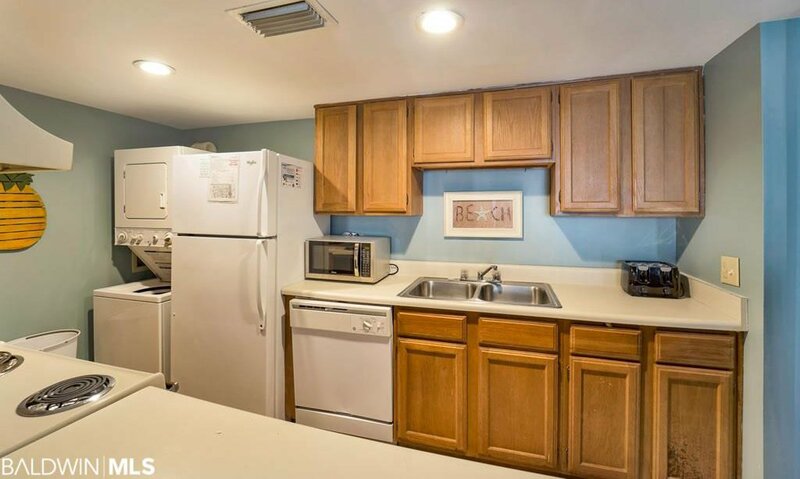 Large kitchen with bar seating, and half-bath also on main floor. 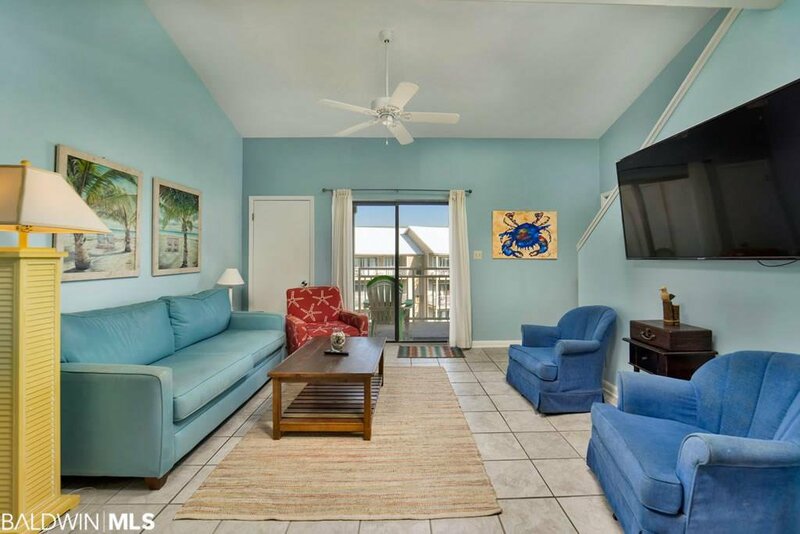 Large living room features seperate wet bar, owners closet and access to balcony. 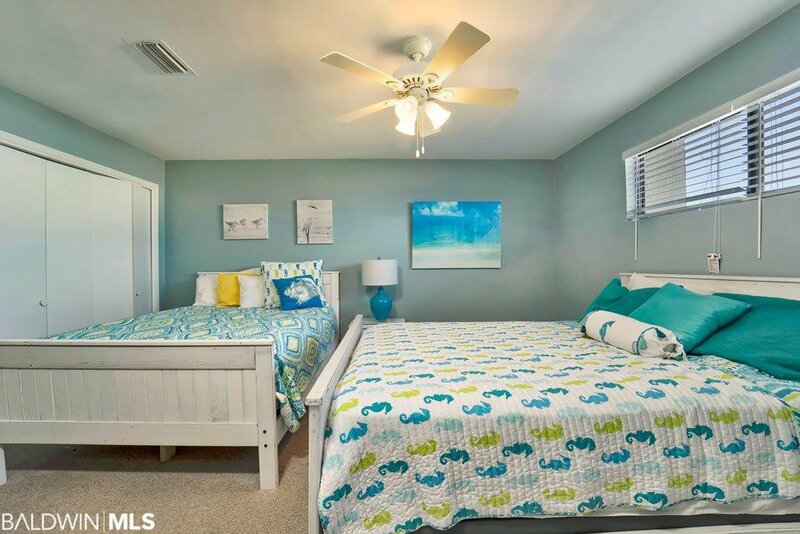 The guest bedrooms are on the second level and share a Jack and Jill bath. 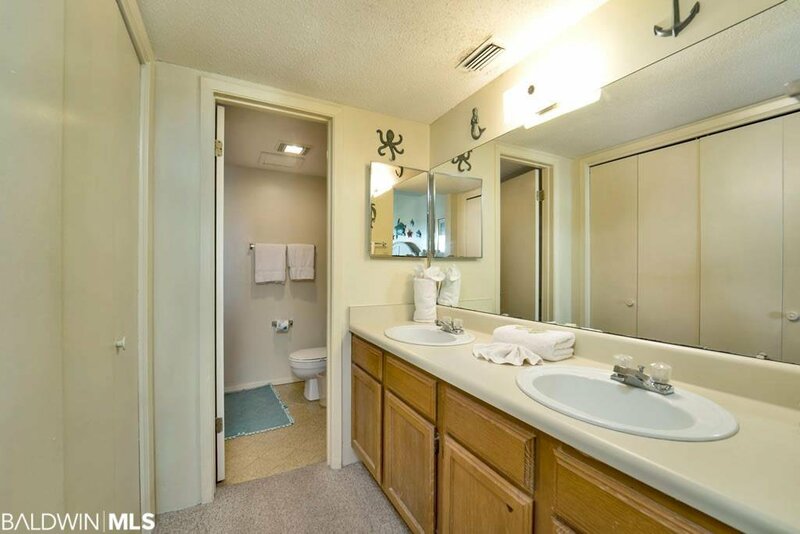 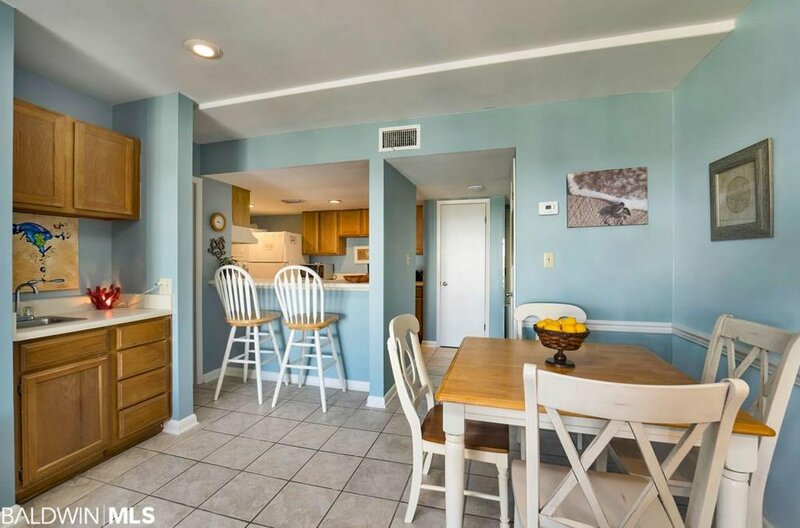 Many recent renovations including smooth ceilings, and fresh paint throughout. 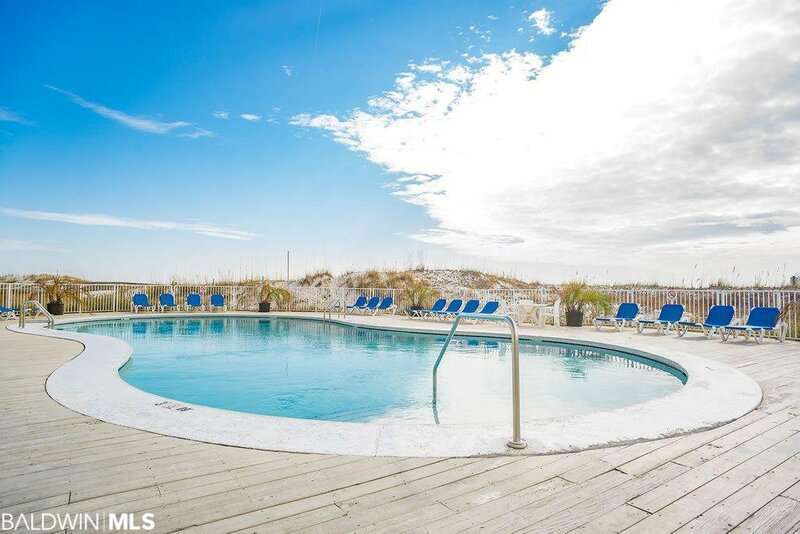 2 Beachfront Pools + Kiddie Pool (one of beachfront pools is Heated, seasonally, year-round swimming ) 2nd-Floor pool, Poolside Grill-and-Bar, and Tennis Court. 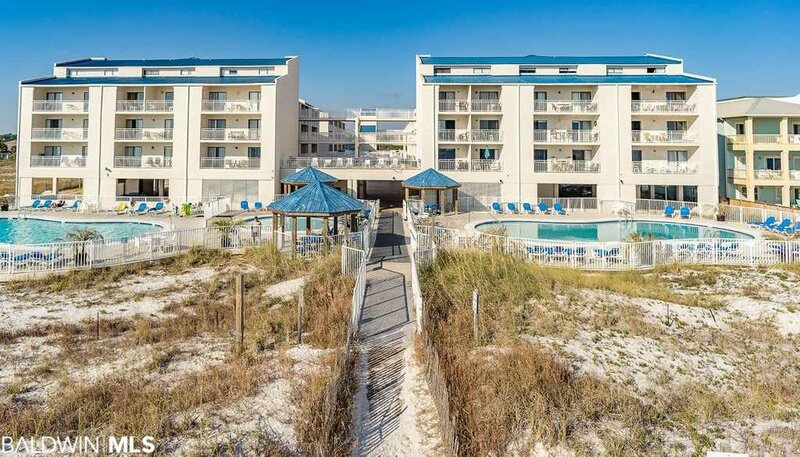 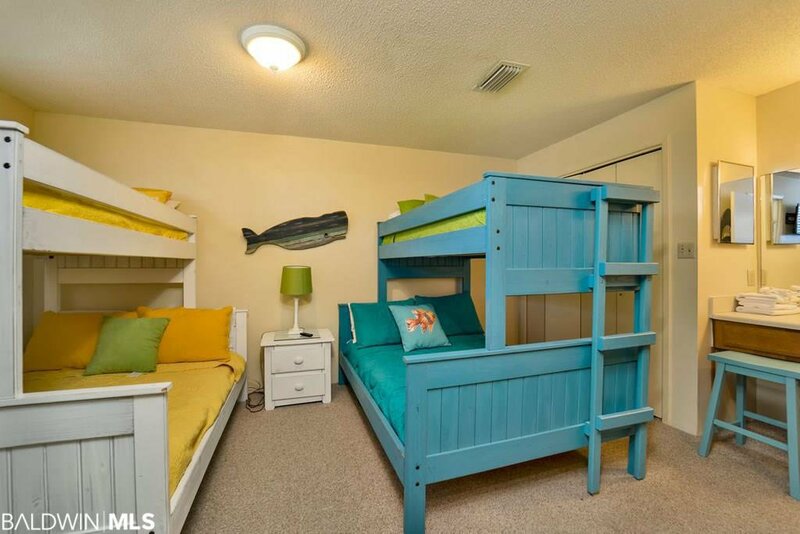 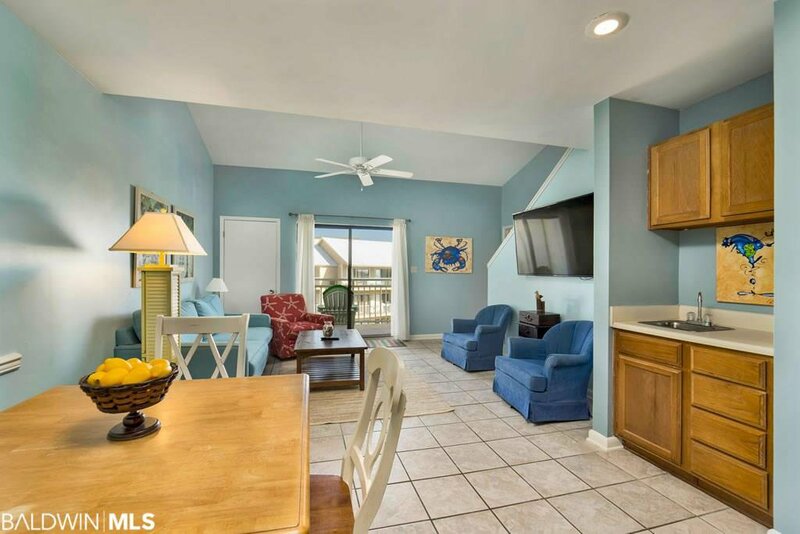 Enjoy short stroll on Beach Boardwalk, and 2nd-Story Pool and Decks overlooking beach! 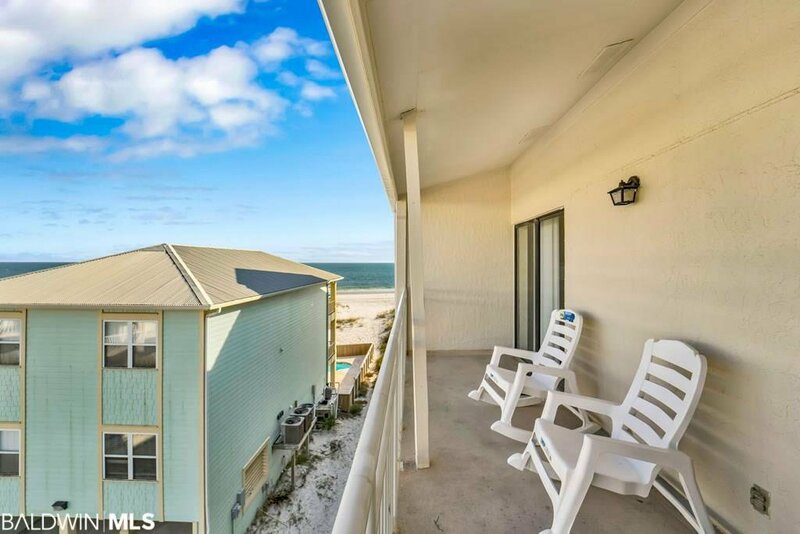 Listing courtesy of Bellator Real Estate & Dev Fairhope.